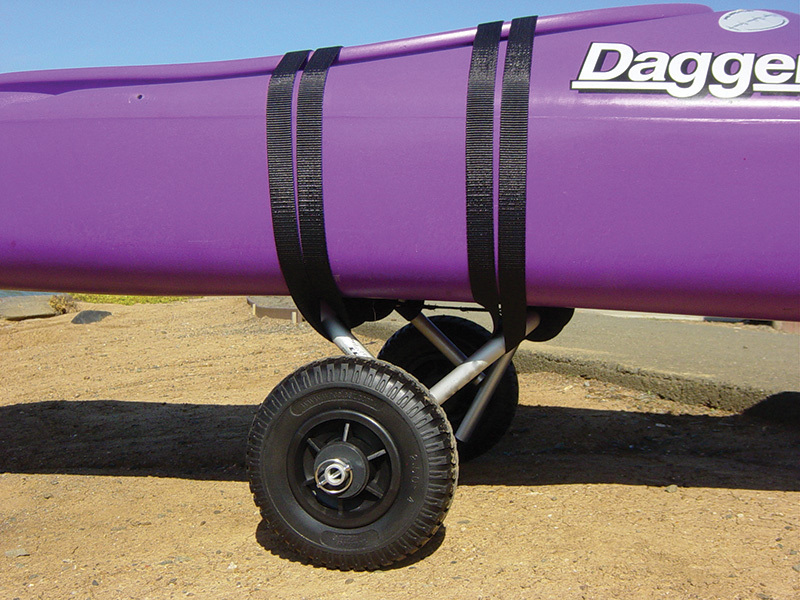 The Kayak Cart-Mini equipped with indestructible Tuff-Tires will never go flat. Strong aluminum tubing (3mm wall thickness) is built to last. 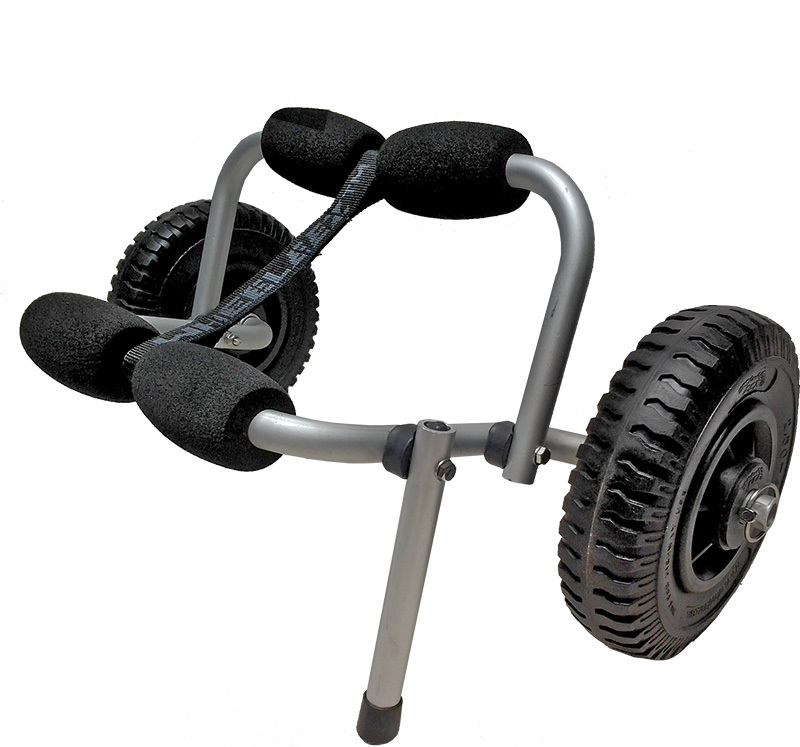 Detachable 20 cm Flat-Proof, Maintenance-Free Tuff-Tire Wheels. Exceptionally compact frame folds to fit into most hatches. 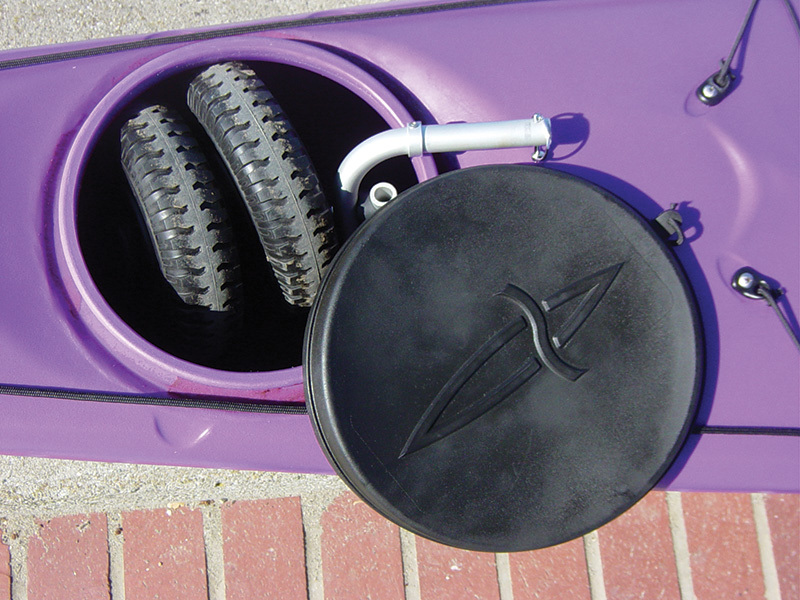 Single kickstand for easy boat loading.